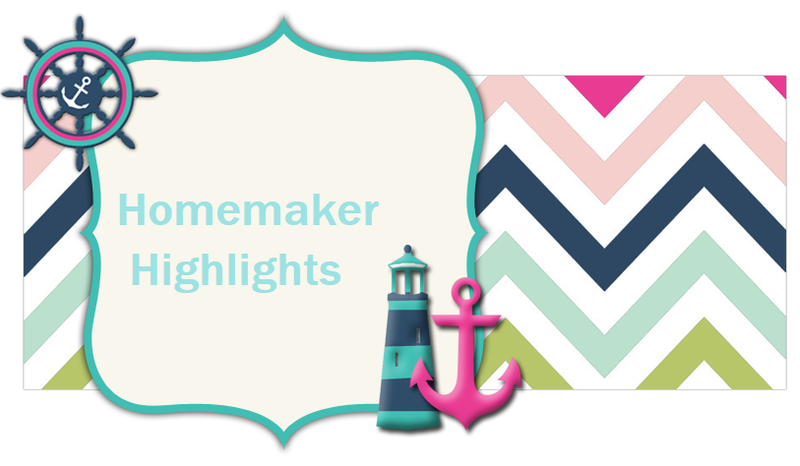 Homemaker Highlights: Frugal Girls' Bedroom Makeover. 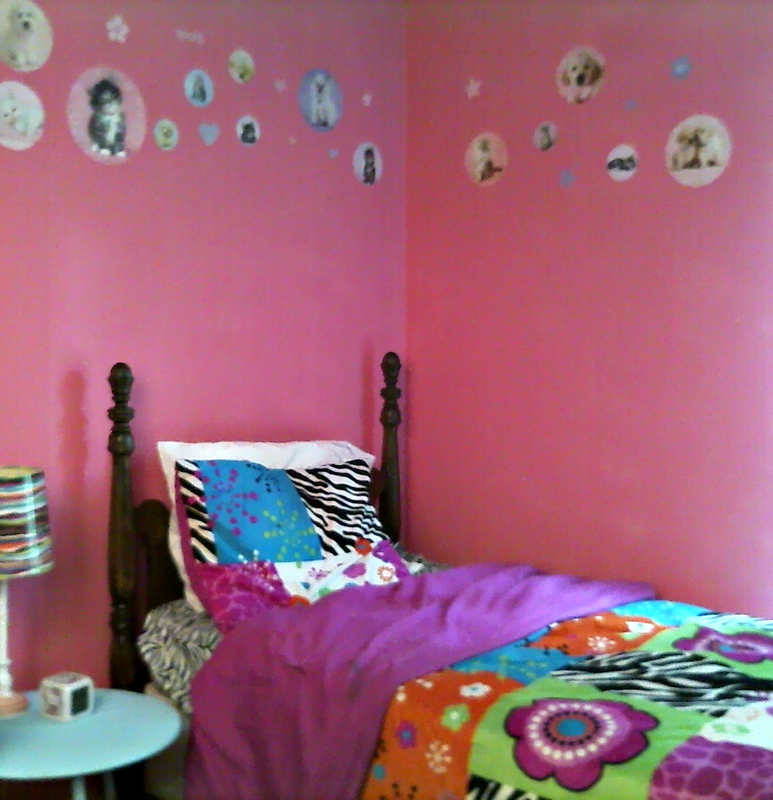 Recently, the girls wanted to give their room a makeover. One wanted puppies and the other wanted kittens, so we met in the middle with both. We found these really cool wall decals on clearance at Walmart for 3.00 each (We decided to get one pack of kittens and one pack of puppies). 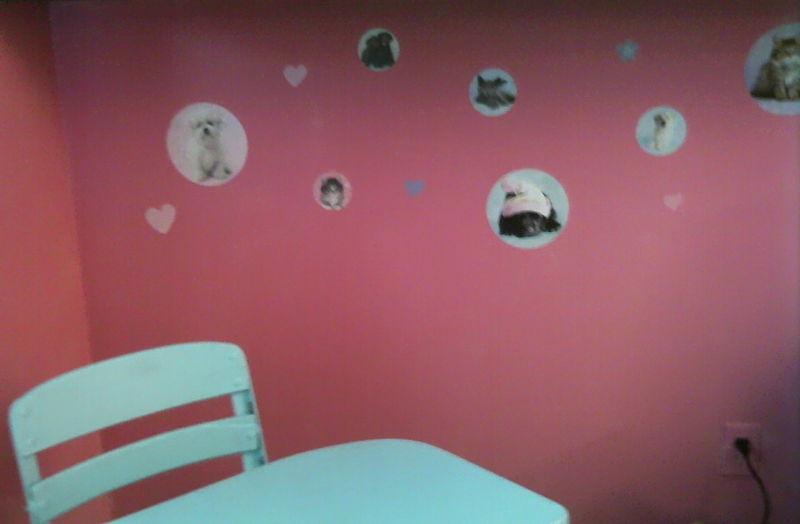 Here's a better view of all the decals and puppy/kitten mixture. The wall color was the only thing we had to purchase for this makeover. Then we used some old paint we had left over from another project as the trim. 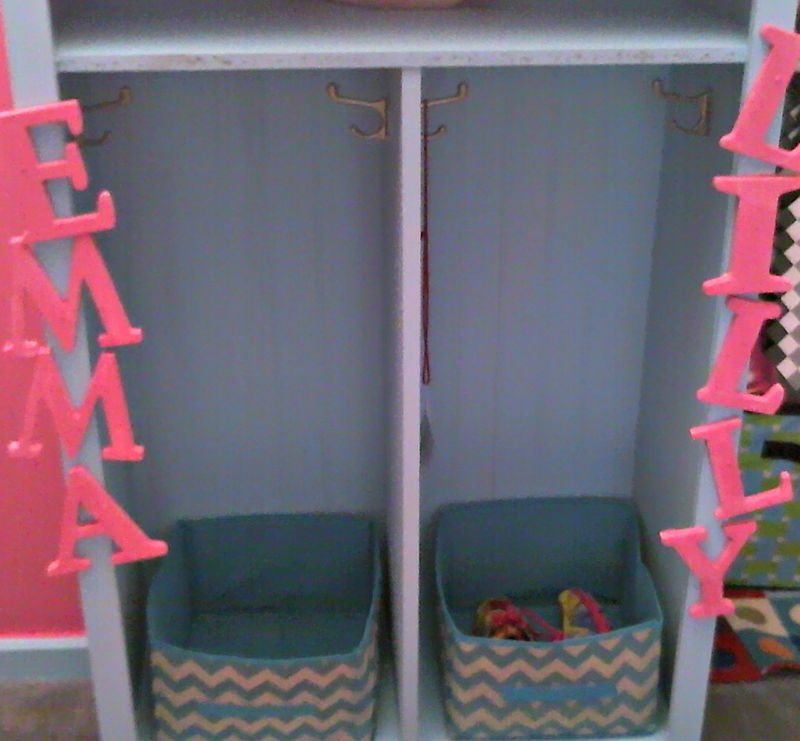 We then took the trim paint and repurposed some different pieces of furniture in the girls' room. I previously bought this desk at a thrift store and served it's purpose well for homeschool preschool. Now it's been made over to be used as a homework desk. This is my favorite piece of furniture that we gave a make over to. We had this hall tree for many years and we decided to paint it in the color of the trim. The bins are from the Dollar tree (The Dollar Tree has some wonderful bin selections near the closet section). The letters we bought many years ago and they needed a makeover, so we painted those with the wall color. This has got to be my absolute favorite piece. The girls have a place to hang their jackets and book bags. The bins provide for perfect storage of their shoes. Just a look over head at their favorite spot. 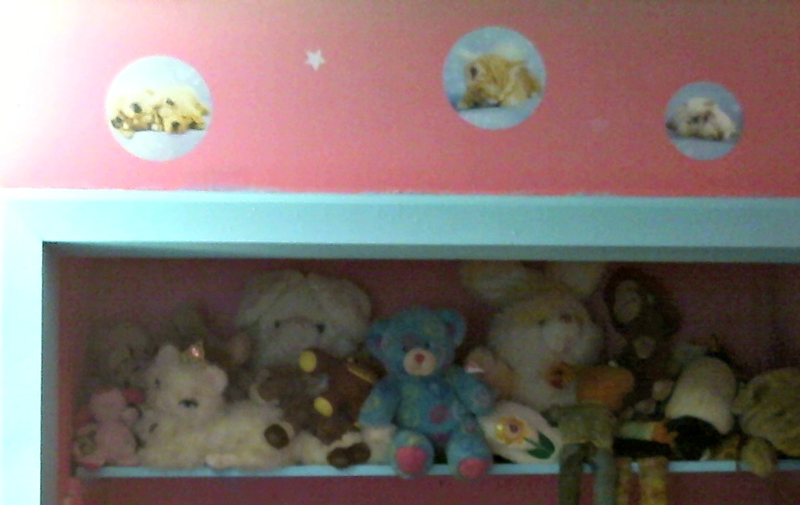 This is where they like to keep their beloved stuffed animals. I would really put this in at around an 80 budget, if that. We simply used things we already have around our home and they love their new room.